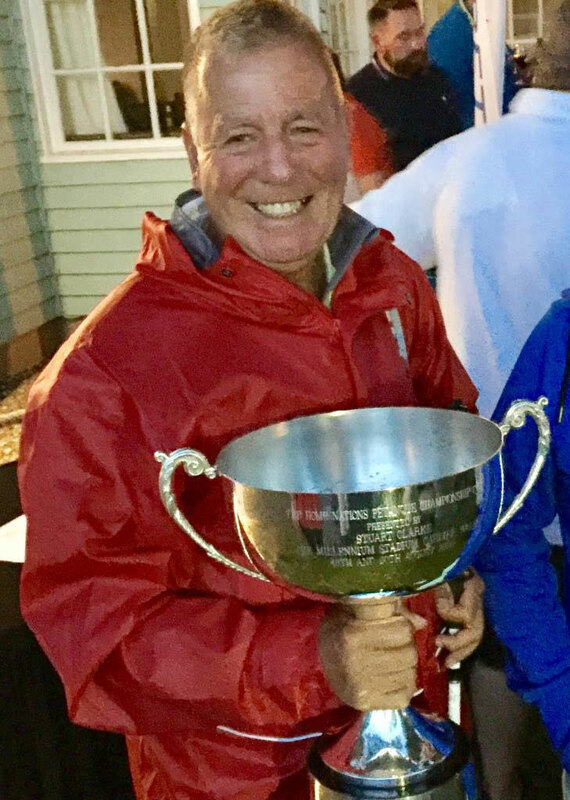 The Home Nations Championships were held last weekend (12/13th August), this annual challenge competition is hosted by one of the competing nations every year, and this year was England’s turn to host the event at Hayling Island. 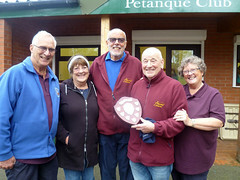 England, Scotland, Wales and Jersey were all competing for top honours and at the end of the weekend’s play, England comfortably retained the title with 77 wins, Jersey were in 2nd place with 51 wins, Wales were 3rd with 36 wins and Scotland were 4th with 28 wins. 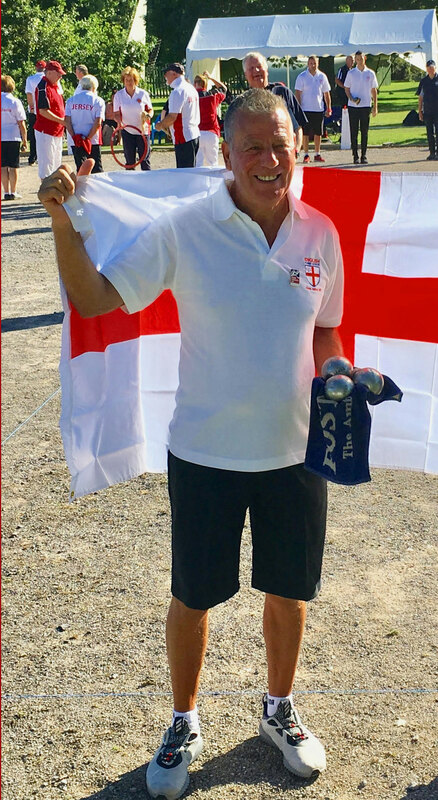 As many of you know, a small number of Mercia players qualified to represent England at these championships, amongst them was Brian Eldridge from Chesterfield Petanque Club. At the awards ceremony Brian was singled out by the president of the EPA to have the honour of collecting the cup on behalf of England. 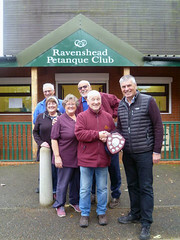 Martin Eggleton ( EPA President) gave a speech to the effect that Brian has proved that whilst being registered Blind, he can still perform at the highest level and proves that petanque has no boundaries for those that wish to play our sport. 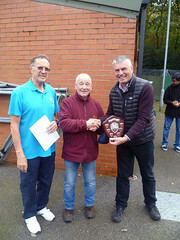 Martin went on to say that Brian was an inspiration to others who pick up their boule and play with the best. Needless to say the place erupted when Brian collected the cup on behalf of England. Well done Brian and congratulations to England on retaining the title. Stephen Snudden has placed the following link on the EPA Facebook Group. Follow the link at the bottom of Stephen’s article to see day one fixtures for the Inter Regional Championships at Hayling Island. The summary tables are replicas of those that will be on display in the control room with the addition of links to each days order of play. When results are refreshed in the control room they will also get updated on the EPA website. Those players unable to make the weekend will therefore be able to keep up to date with the state of play. As for last year the Junior Precision Shooting will take place on Saturday afternoon. Refresh/Upload of the state of play will stop 2 rounds before the end of play on the Sunday. This is intentional so as to keep people guessing as to final positions, top teams etc.